It was '”back to school time” at Westford, MA based Natyanjali School of dance - for the ebullient aspirants as well as the tactful Guru Jeyanthi Ghatraju. The Guru is an adorer of the traditional ethics she has set for herself over long years and insists the same in every outfit of her school - be it entertainment for the elderly or a charity program. Vijayadasami during Navarathri in the months of September/October is celebrated in different parts of India in various ways, highlighting several mythological aspects. Every year at Natyanjali, the program highlights the start of a new year by continuing the good showing of the previous years with more precision. Every now and then, a student/students get(s) selected for the salangai (bells) Pooja (worship/offering) by the Guru. In this age of being able to buy dance outfits and accessories before even starting dance classes, the occasion marks an important first milestone in a dance student’s learning and journey and highlights the significance of the bells to a budding dancer. This year it was the turn of Shreya Manikandan, adoring sacred anklets to acknowledge her sincere aspiration to ascend the ladder of serious learning. In many ways, it is comparable to a “ganda bandhan” in the Hindustani music tradition. In ancient times, the pair of salangai were given to a dancer only prior to her arangetram and not before. Over the years, as curriculum evolved, not every dancer could have an arangetram and salangai pooja came into being. Many traditional schools have this as an auspicious occasion where the student getting the bells would perform a mini margam consisting of pushpanjali, alarippu, kavuthuvam, jathiswaram, shabdham, and thillana without a varnam. Sometimes, as in the olden days at Shivanjali Temple of Fine Arts, only a varnam was performed on Vijayadasami day when their beloved guru, Swami Shanthananda, would grace the occasion with his serene presence. 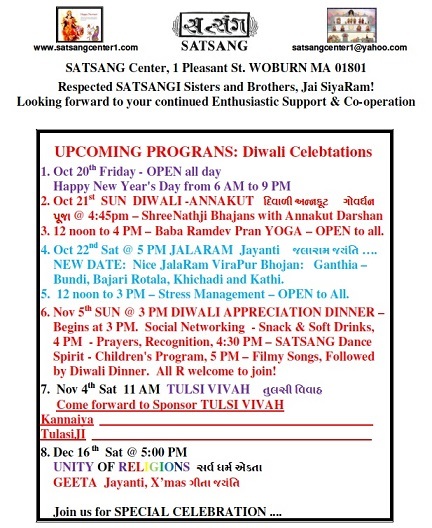 On Saturday, October 14, Natyanjali’s Vijayadasami program and Shreya’s salangai pooja were conducted at the Central Congregational Church, Chelmsford, MA in the august presence of families and supporters of Natyanjali. At the start of the program, everyone chanted 3 Omkarams. Guru Jeyanthi blessed Shreya with the sacred anklets in the customary ethics that included the chanting of prayers of inner peace (Sahanavavatu), invocations to Guru, Lord Ganesha, Shiva, goddess Saraswathi and for forgiveness (karacharana). Then guru Jeyanthi highlighted the Natya Krama and tied the salangai on Shreya’s feet, right foot first followed by left. 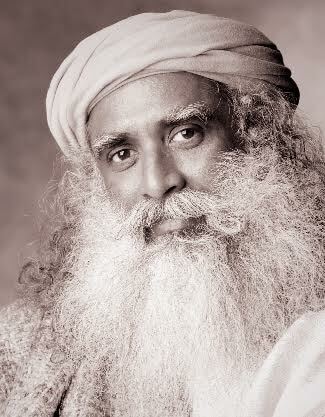 Guru Jeyanthi also mentioned how it is important to regard the salangai as sacred– not to put them down on bare floor, not to wear bells and walk around with foot wear on and most importantly to put them on right before performing and take them off as soon as the performance is done. Although Guru Jeyanthi has conducted several salangai poojas and arangetrams in the past, she earnestly recalled the grace of the Lord and the blessings of her gurus and mentors on this yet another auspicious occasion that made this possible for her. A cursory look through the program brochure indicated the meticulous insight with which Guru Jeyanthi charted out the program items - a clever mix up of numbers highlighting the occasion keeping the abilities of performing students in mind. So, it turned out to be a well-conceived and elegantly executed program. The curtain riser was Mallari - the divine dance number performed when the presiding deity of a temple is taken out in procession. This was performed by Deepthika Vedavinayagam, Prisha Dedhia, Priya Roy, Priya Soundar, Rushika Susarla and Yuktha Jonnalagadda. As the salangai pooja student, Shreya performed pushpanjali and Oothukkadu Venkatasubbiayar’s composition, Srivighna rajama bhaje as her invocation to Lord Ganesha. She followed that with an alarippu in chathusra nadai. Nachiar (Andal) kavuthuvam came next, followed by Vasantha jathiswaram, and Murugan Shabdham. Interspersed with these items were Om jagat Janani presented by an energetic group of young dancers - Aditi Korrapati, Advika Swamy, Anika Rao, Charvi Veeramachaneni, Diya Manikandan, Gauri Kumar, Ishika Pandi, Lakshmi Jayaprakash, Megha Veeramachaneni, Prateeksha Nidasesi, Siri Jayaprakash, and Tanmayee Patil. A three-some team of adult performers – Anita Kumar, Aruna Patibundla and Vijaya Swamy gracefully paid obeisance to goddess Saraswathi in Mysore Vasudevacharya’s composition, mamavatu Sri Saraswathi. 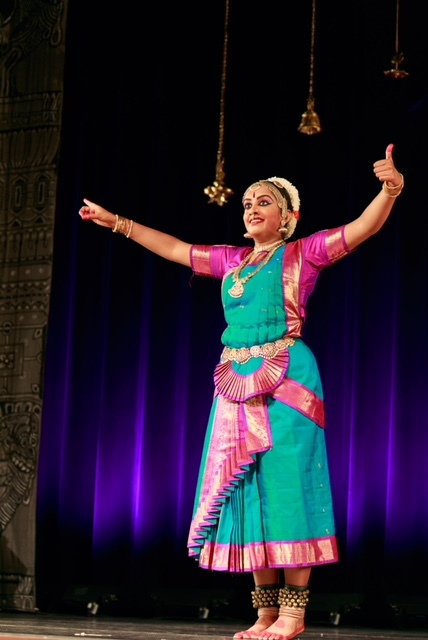 Mayil vahana, a Papanasam Sivan composition, in ragam Mohanam, was ebulliently presented by Arya Swamy, Divyashri Prasath, Hamsika Vedavinayagam and Pooja Kumaravel. They kept up quite well with the brisk choreography that portrayed a peacock pleading with Lord Muruga to protect him and help him serve as His vehicle. Guru Jeyanthi then presented an abhang, Aarambi vandhin Ayodhye cha Raja, a composition of Saint Ramdas. Vijayadasami, incidentally is also a celebration of Lord Rama’s victory over Ravana. Jeyanthi aptly and eloquently described the significance of Rama’s coming back to Ayodhya after his fourteen long years of exile. She highlighted how Rama elevated and liberated so many souls like Ahalya, Sabari, Guha and Hanuman through that arduous journey. At the end, she exquisitely portrayed the Rama Rajyam – how the composer highlights it to be – a genuinely supportive and caring community, a kingdom of justice and prosperity! The concluding thillana was on Lord Hanuman in ragam Kapi, presented by Shreya. From the vibrant pushpanjali, traversing in multiple paces through the program into thillana, Shreya executed keen dedication and determination to go further in the art. It was a treat to watch her. The afternoon’s program concluded with Mangalam, pavamana suthudu pattu, where all students – new and existing, came together to pay their obeisance to Lord Nataraja, the Gurus and the audience and wish benediction for all! As the saying “ Vidhyarambham karishyami siddhir bhavatu me sadha” goes, here is wishing Guru Jeyanthi and her students – full accomplishment in their understanding, learning and performing of this art form always!